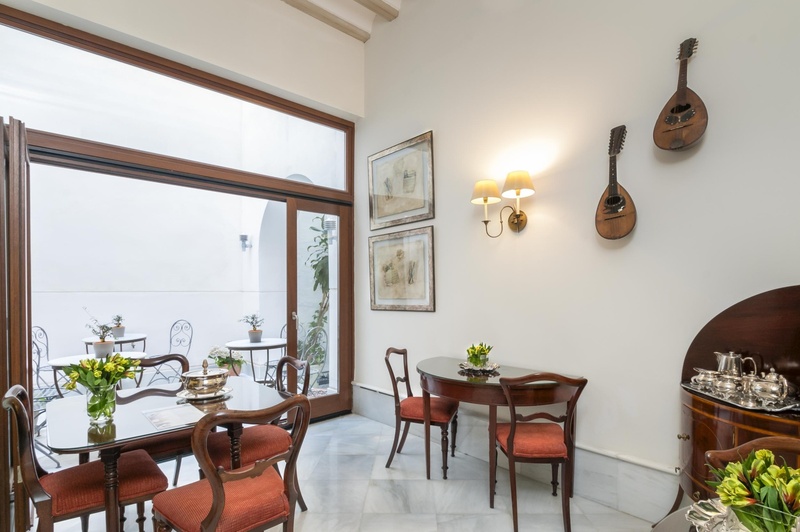 Situated in the very heart of Seville, the Santa Cruz district, Hotel Amadeus embodies the heart of classical music while preserving the Sevillan style. 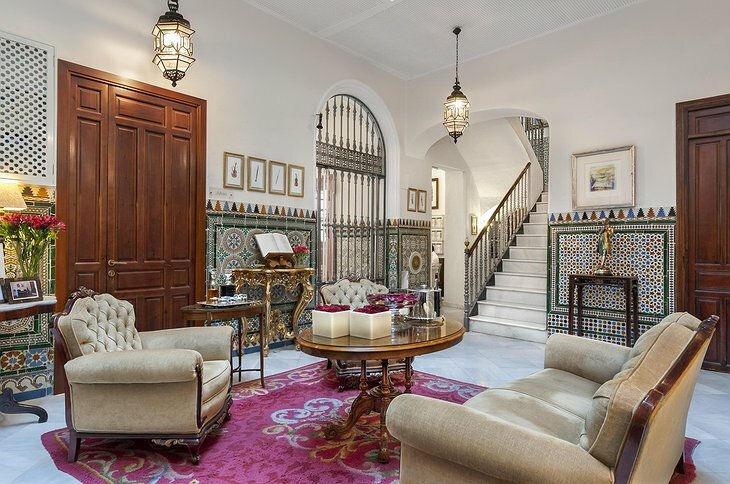 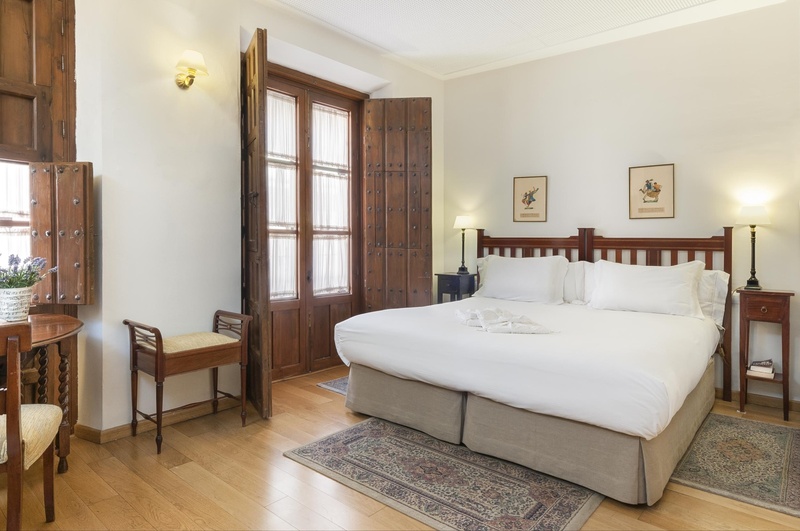 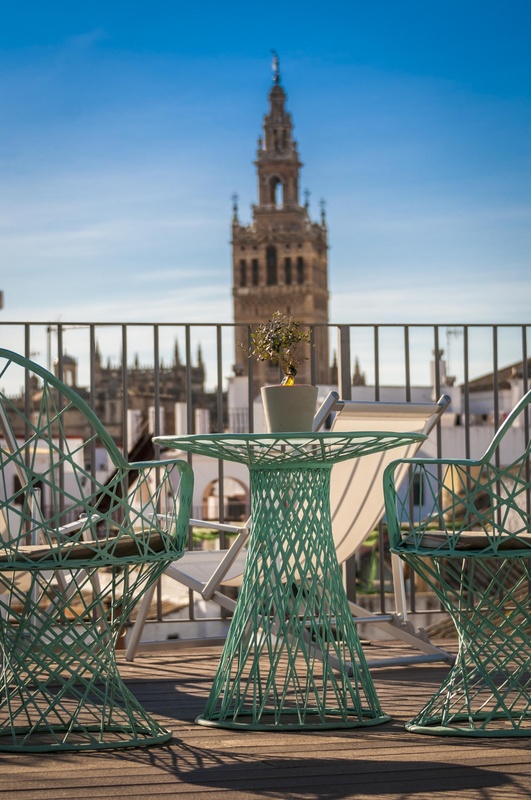 This 18th century mansion has been converted into an elegant hotel that offers panoramic views of famous landmarks such as the Cathedral and Giralda. Encompassing the theme of classical music, there is a wide array of musical instruments provided in the central patio, inviting guests to share their talents. 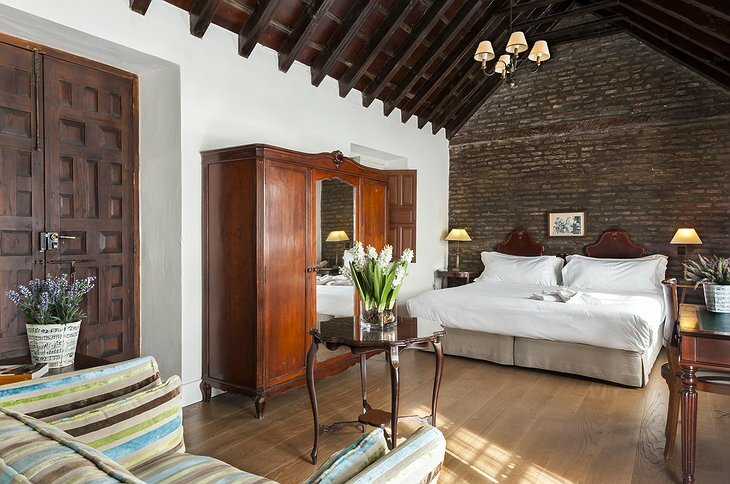 Music creates a tranquil ambience; however, you can request a soundproof room to ensure that your sleep is not disrupted. 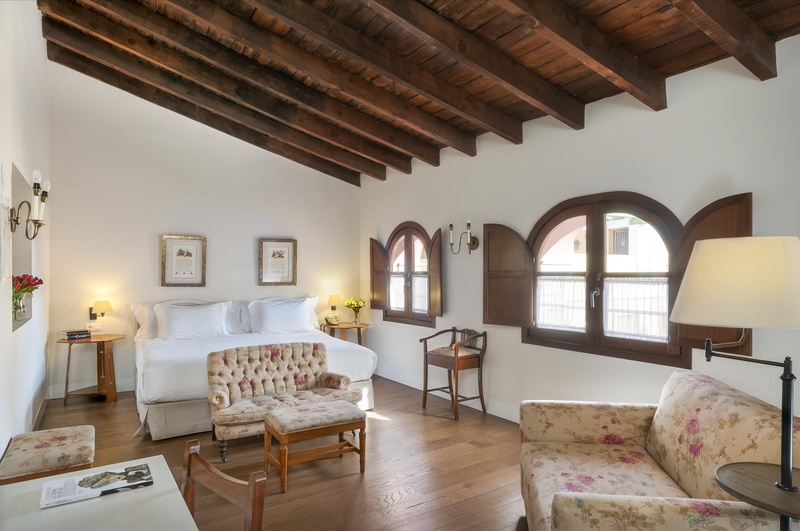 Each room is tastefully decorated to reflect simple elegance and highlight the natural beauty of the building. 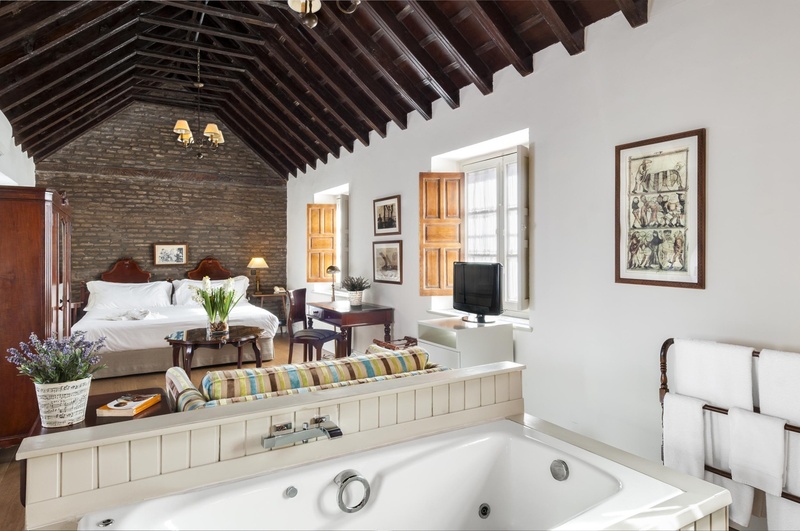 The rooms are spacious and comfortably furnished, but if you are looking for something special, there are suites that offer a Jacuzzi tub, private balconies, and sitting areas. 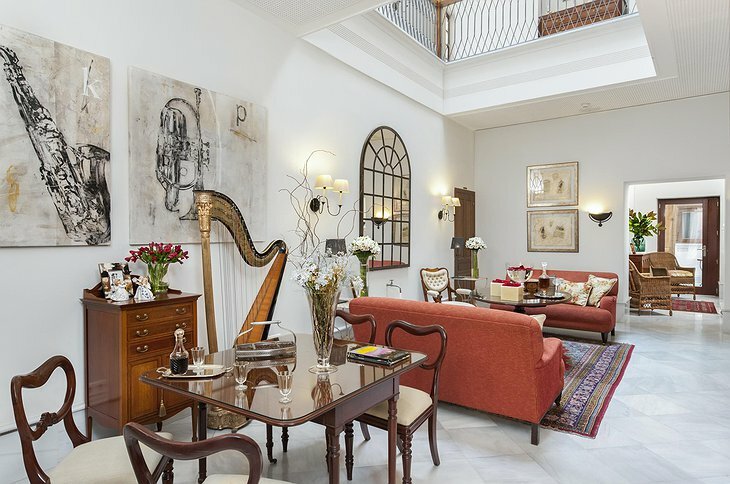 Each room also provides a score of CDs, operas, and a variety of books to further immerse you into the musical theme. Due to its central location in the historic center, you are literally steps away from the city’s most famous attractions. 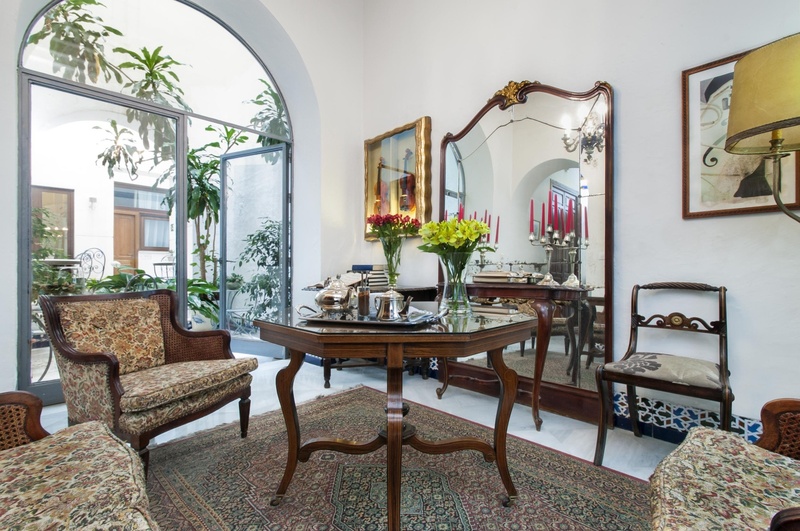 You can explore the city on foot or arrange tours through the concierge. 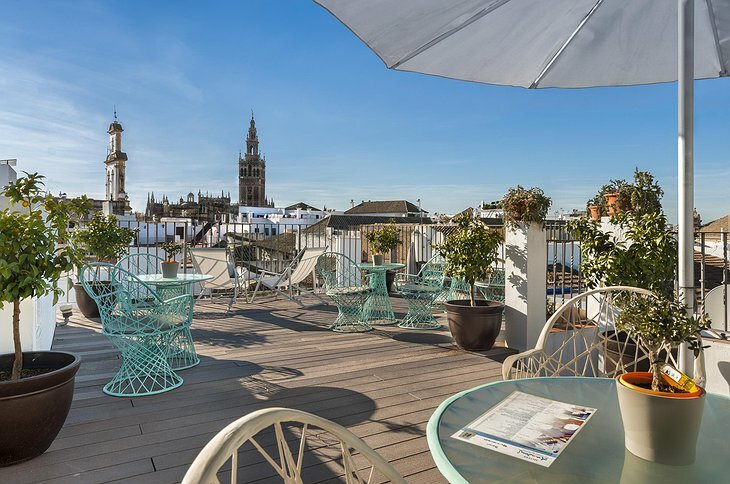 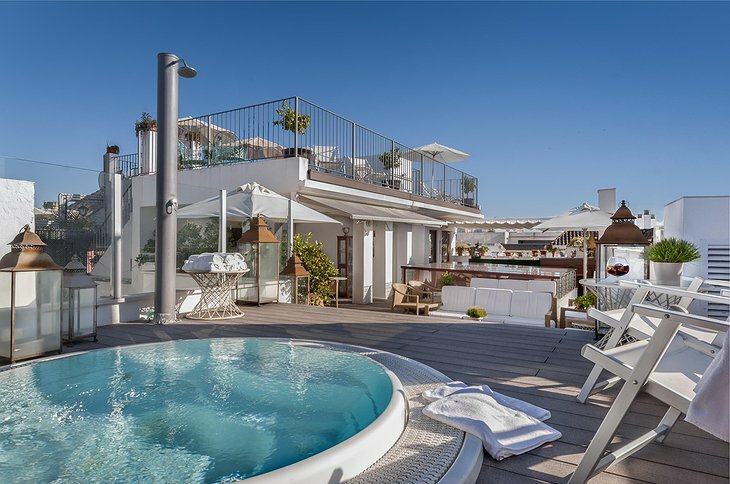 After a day of exploring the enchantments of Seville, you can return to the comfort of Hotel Amadeus to enjoy a refreshing dip in the pool, a delicious meal on the terrace, or relax with a cocktail as you drift away with the classical music.